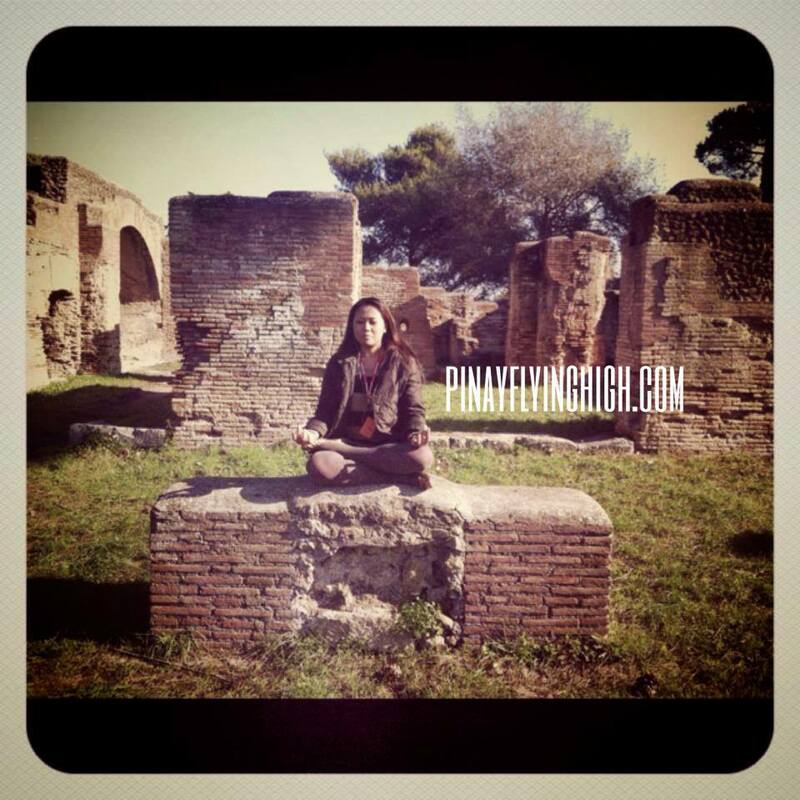 If you’re a geek like I am and enjoys historical places particularly ancient ruins, then you should add a day trip to Ostia Antica in your bucket list. I took a bus tour from Rome and it’s about an hour away, you can actually go there by train but it’s really recommended to have a tour guide with you while you visit the site. Our tour guide was this lovely professor who knew very well Ostia Antica by heart, it was a very impressive and interesting trip for me. 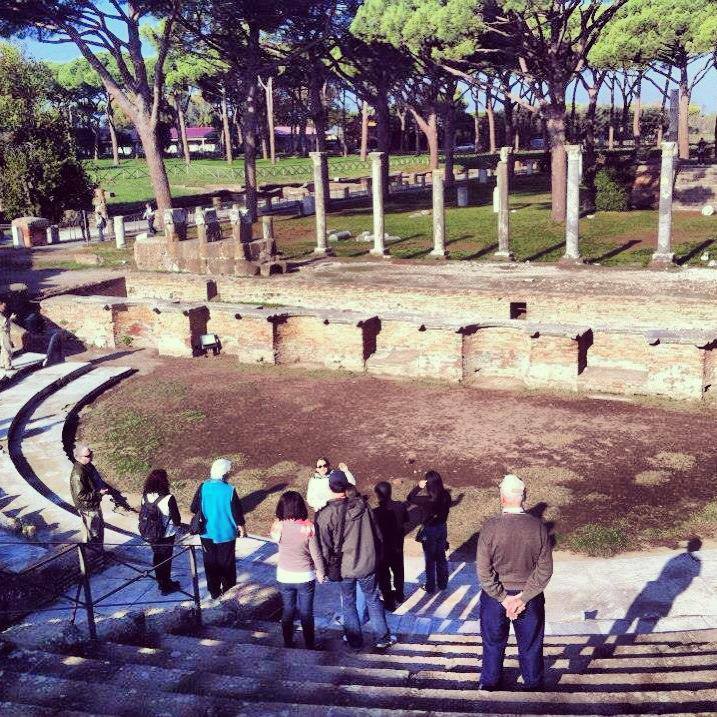 Ostia Antica is an archaeological site of an entire ancient town, it used to be Rome’s seaport. It’s a massive site so be ready for a lot of walkings. It was really interesting for me because you get a feel of how people lived thousands of years ago and it will surprise you how similar it is to as how we live now – yes, they do have a bar. LOL. Apart from the “bar”, you will also see Roman theatres of course, public baths with well-preserved mosaics on the floor, apartment buildings, necropolis, a forum, temples and artworks. 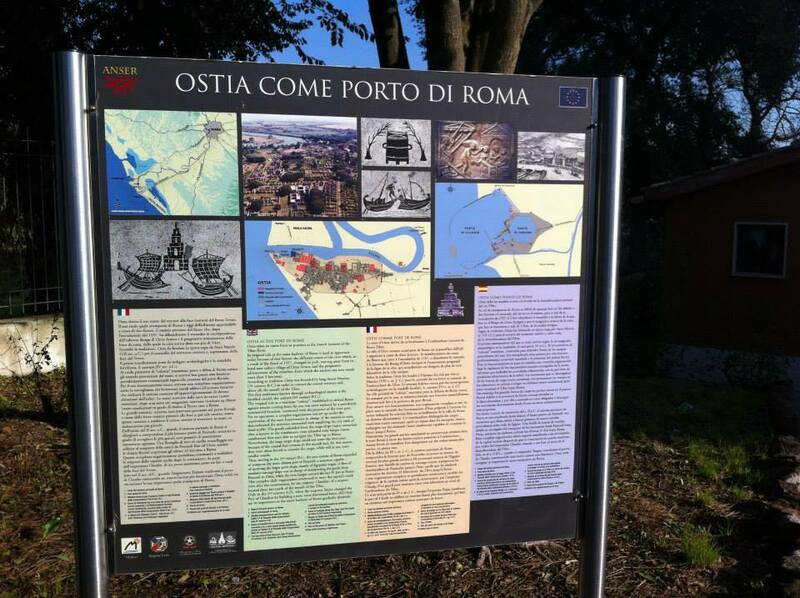 It’s very easy to be engrossed on the “ancientness” of this place that I started to imagine the people who lived and worked in this place which used to be a port to supply all kinds of goods to Rome. It’s fascinating to walk on the cobbled stones on which people from thousands of centuries ago, have walked on as well. Our guide showed us a track on one of the cobbled-stone streets which she described as an actual track of the wagon wheels back in those days. It’s literally like going back in time. 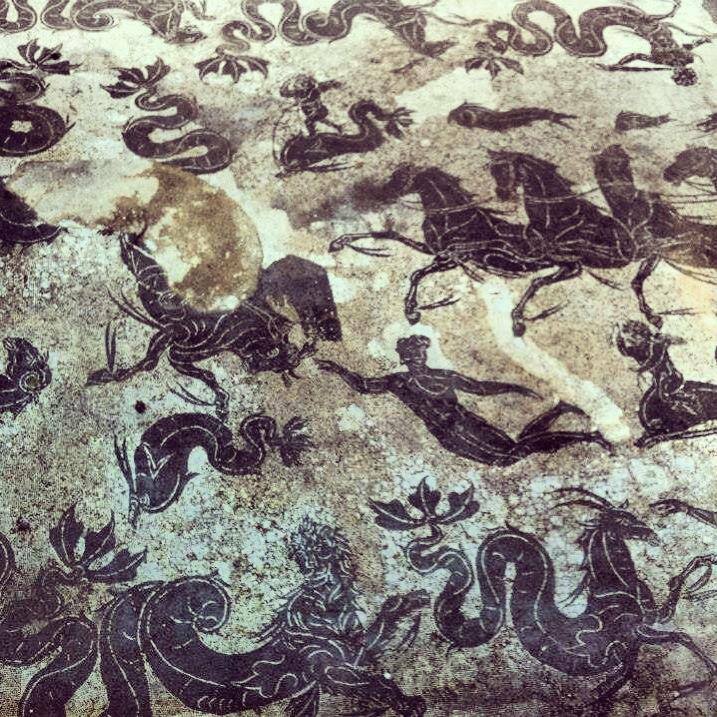 Original mosaics in one of the public baths. Hello! It was a part of the Trafalgar package that we are in. I’ve seen a lot of reviews about Rick Steve’s audio tour to this site, you might want to check it out. 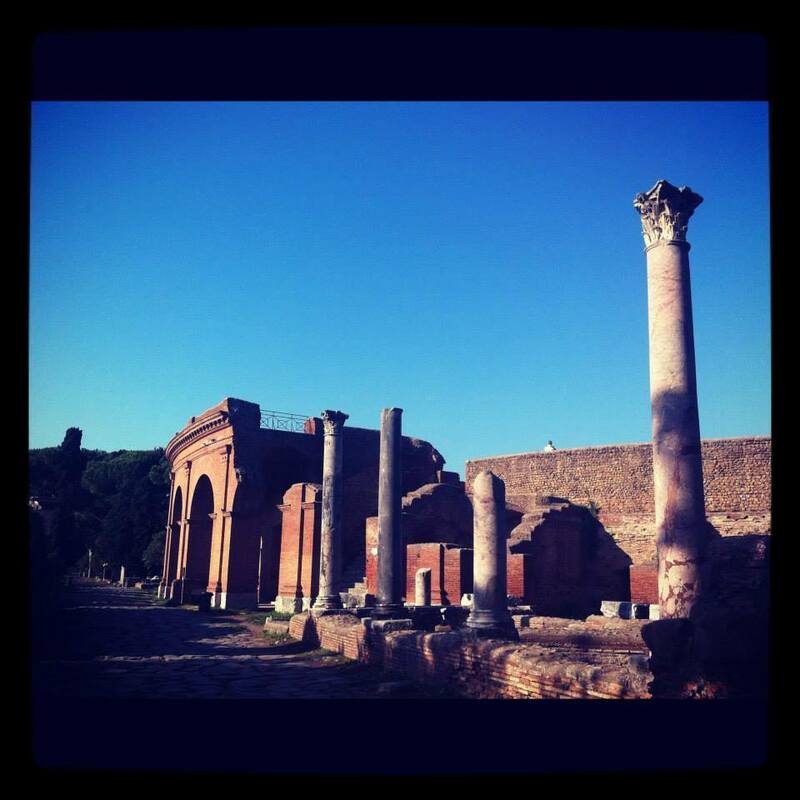 Yes, Booked Trafalgar part of Italy Holiday, spent about 3 hrs at Ostia enchanting place. That is me with hands clasped behind back in the amphitheater photo.